Is Nationalism Growing in Croatia? While doing the review of the press in the countries of the former Yugoslavia in the beginning of September, I stumbled into an article in the Serbian newspaper Blic, which quoted the distinguished Balkans expert from the London School of Economics (LSE) James Ker-Lindsay, who believes that Croatia is to blame for the current deteriorated state of relations between Zagreb and Belgrade, depicted by many in the region itself as being worse than in the early 1990s, when the bloody disintegration of the former Yugoslavia began. I shared the text on Twitter, expressing my doubt that Mr Ker-Lindsay said exactly that, knowing that Serbian media should be handled with care. I guessed it was a question of words out of context, or an overly free translation. Alas, he confirmed on Twitter that he stands behind his words. We deepened our discussion, but he did not back down on his opinion. Later, two days before the snap parliamentary elections, The Financial Times published an article on the subject, which again focused on the thesis of Croatia’s responsibility for the deterioration of bilateral relations with Serbia, as well as the dangerous growth of nationalism in the country. The opinion of James Ker-Lindsay was also quoted. A day after the September 11 elections, another highly regarded and internationally distributed British daily newspaper (The Guardian) published an analysis by Paul Mason, entitled “Croatia’s election is a warning about the return of nationalism to the Balkans”. Having in mind what I published in my surely not as massively circulated website on the subject of the Croatian elections, you will probably understand my urge to disprove the theses of the two respectable media of international influence and the deeply respected analyst from LSE, knowing full well that my expertise is just as modest as the number of euinside’s impressions (compared to FT's and The Guardian's), and also compared to the expertise of LSE. There are two theses I intend to disprove. The first one is that there is a rise of nationalism in Croatia and that it is directly related to the country’s accession to the EU. And the second is that Croatia is to blame for the worsening of relations with Serbia. Is there a growth of nationalism in Croatia? The short answer is no. A broader one is that there was an attempt to mobilise it, but tendencies in Croatia are just the opposite to those in already almost all EU members, not taking this for granted, of course. When I came to Croatia exactly a year before it joined the EU with the very goal to follow the process, my first impressions were that there was nationalism in the country, which I termed “healthy”, meaning nationalism of the American type, whose goal is keeping the nation’s spirits high and unifying the population on the subject of the country’s development direction. Croatia is among the youngest states in Europe after it announced its independence from former Yugoslavia with the bloody war to follow. The first years of its life were dedicated on the establishment of institutions, rebuilding of the economy, setting the national goals, and all the other tasks that every newborn state needs to undertake in order to survive and even prosper, which undoubtedly is the Croats’ goal. The accession on July 1st 2013 fulfilled the second national goal of the Croats after their independence. A period of not having a third national goal followed, thus degrading national unity and entering a period of ideological searching by the two main political players – the Social Democratic Party (SDP) and the Croatian Democratic Union (HDZ). Croatia joined the EU under the rule of the left-liberal “Kukuriku” coalition, led by Zoran Milanović. The coalition won the parliamentary elections in the late fall of 2011 thanks to the heavy crisis that the HDZ went into, caused by the corruption scandals surrounding its former boss and PM Ivo Sanader. Following the defeat, the leader’s seat in the party, which describes itself as a state-building and by default charged with a heavy dose of nationalism, was taken by the dark figure of Tomislav Karamarko. His winning platform was a return to Tuđmanism, or the so called re-Tuđmanisation, which was a retrograde process of return to authoritarianism, deep conservatism, and of course nationalism, based on a final settling of accounts with Serbia and Serbs in general. While Croatia was battling a heavy economic recession (lasting over six years) and the huge unemployment rate that came with it, mostly in the younger population, the HDZ was busy building the Patriotic coalition, which included the most nationalistic right-wing parties of the country. The coalition managed to win several elections in a row, although the reason for these victories is not nationalism, but something else, as I wrote some time ago. Recession and the receding determination of the government of Zoran Milanović to implement the set reforms, the possibility for a preferential vote, and the presence of good candidates gave the HDZ and the Patriotic coalition victories at two consecutive European Parliament elections, and also at the presidential elections. The cleanest appearance of the Patriotic coalition as such was at last year’s parliamentary elections, when it finished level with its arch-enemy from the new left-liberal coalition, surrounding Zoran Milanović’s social democrats “Croatia is growing”. Both parties’ plans got disturbed by the newborn political power Most of Independent Lists (MOST NL). The very rise of MOST NL showed that Croats are looking for something different, that they are deeply tired of the pulling of skeletons out of the closet, nationalism, Ustaša and Communists, and all the rest. They want reforms, which can bring them jobs and prosperity. This attitude was even more clearly shown at the snap elections this year. They were brought about after MOST NL and internal strife in the HDZ put an end to Tomislav Karamarko’s attempts at fulfilling in Croatia a Polish-Hungarian scenario of illiberalism, or democratura, as it is termed in the region. The fall of Tihomir Orešković’s government, in which Karamarko was first deputy PM, also brought about radical changes in the HDZ itself. After a lightning-fast organisation of internal party elections, MEPs came to power in the party. Leader of the party became the vice chair of the EP Foreign Affairs Committee, Andrej Plenković, and his closest associates are also MEPs – the member of another influential EP committee – the economic one - Ivana Maletić and Davor Ivo Stier, who rebelled against Karamarko last year by writing an essay on the road the HDZ should take. Plenković lost no time and began clearing the party out of its extreme nationalism. 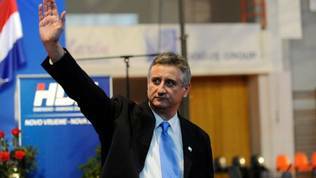 First of all he dealt with the circle around Karamarko, then positioned the party in the centre-right, inserted the EU and its values in the discourse, refused playing Ustaša and Communists, broke the Patriotic coalition and announced that the HDZ will appear solo at the elections, and set an entirely new tone to the political dialogue. Results were quick to follow. The HDZ alone, without far-right wing nationalist parties won more seats in the Sabor than the Patriotic coalition last year. Besides, at these elections not a single one of the nationalist extreme right parties, which were part of the Patriotic coalition before, managed to step over the election threshold, which is a very clear indicator of Croats’ attitudes. Moreover, the new orientation of the HDZ brought about reforms in the SDP as well, which decided to repeat the Patriotic coalition’s mistake and bet on nationalist rhetoric during the campaign, as The Financial Times and The Guardian correctly note. 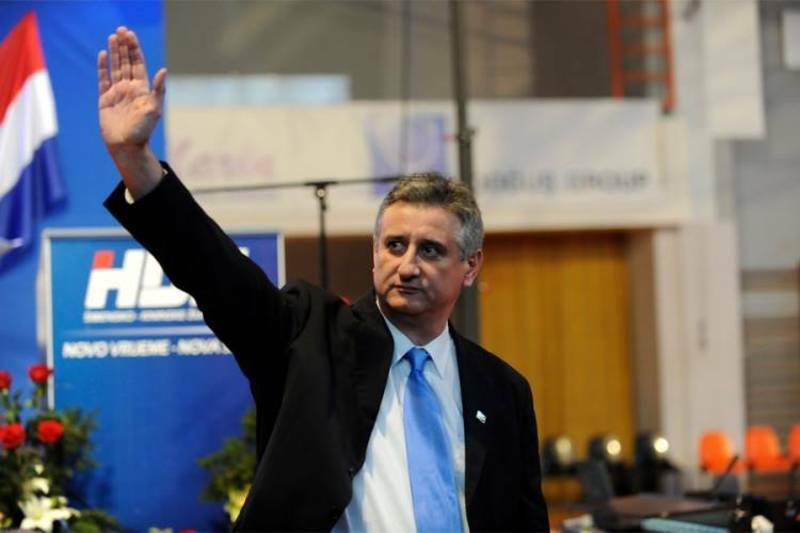 Voters, however, punished Zoran Milanović and the SDP itself. There is a campaign ongoing in the party currently for the election of a new leader. There are for now eight candidates, among whom is MEP Tonino Picula. So far it could be inferred from the candidates’ platforms that nationalism is a completely denounced ideology and is not dear to the heart of any of the candidates. The party’s election loss analysis shows that they see the turn towards nationalism and radical rhetoric as a mistake. It is very true that there were nationalist and Ustaša displays, left non-denounced by the political elite, especially from the HDZ. It is also true that during the short reign of the HDZ-MOST NL coalition government extreme rhetoric turned into the norm and a process of relativisation of crimes and rehabilitation of condemned ideologies began. The elections, however, showed that this does not appeal to Croatian voters. Nationalism in Croatia today, even during Orešković’s government with Minister Hasanbegović in it, is far less nationalist than in a number of EU states. Incidents against non-Croats (meaning Serbs) have not increased in number, which does not mean that the Croatian state does everything necessary to prosecute violations. The situation in Croatia, despite the peak from the start of the year is far calmer than in Great Britain for example, where a MP was murdered a week before the June 23 referendum and there were also attacks against Poles for example. One of the reasons for such calmness in Croatia is the media environment, which is deeply critical to any display of nationalism and attempt at rehabilitation of crimes and perpetrators. In the spring of 2012, before I moved to Zagreb, I went to Belgrade to cover the campaign for the parliamentary and presidential elections there, won by the new clothes of radicals – The Serbian Progressive Party (SNS) with leader Aleksandar Vučić. During the campaign, the party’s presidential candidate Tomislav Nikolić did the first of a line of provocations of the former (really?) radicals by stating in an interview for a German newspaper that Vukovar is a Serbian town. 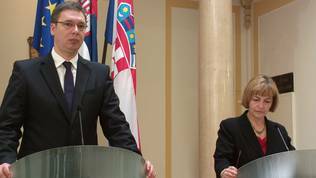 It is possible that Zagreb’s cautious reaction at the time was prompted by the need for not having EU membership overshadowed by a regional problem. The Croatian president at the time, Ivo Josipović, announced that he would not meet Nikolić until the latter apologised. This never happened, but the two of them met anyway as part of the persistent efforts for a warm-up of relations during the rule of Zoran Milanović both before the accession and after it happened. The culmination of this warm-up was the apology of deputy PM and Minister of Foreign Affairs Ivica Dačić for the bombing of Dubrovnik. This happened during the Croatia Forum in the town in July of 2014. Despite some temporary quarrels, the former administration kept really good relations with Belgrade authorities. The refugee crisis turned out to be a large challenge to relations between the two states, even leading to trade wars. 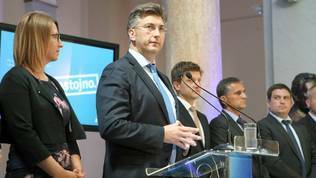 At the time, PM Zoran Milanović was leading a circle defence against all Croatia’s neighbours, a large portion of which was due to the preparations for the parliamentary elections several months later. Anyway, no one in Croatia crossed the thin red line as did Serbian PM Aleksandar Vučić when he recently admitted during the visit of European Commissioner for Enlargement Negotiations Johannes Hahn, that the situation a year ago was at the brink of an armed conflict. A thing that never passed through the mind of anyone in Croatia, then or now. This came as a surprise to many, as it revealed what passed through the minds of Serbian authorities, trying to present themselves to Europe as fully reformed and completely disengaged from their radical past. When evaluating Serbian-Croatian relations, there are some more worrying facts that need to be taken into consideration. 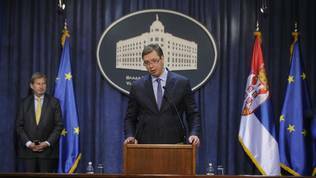 Serbian PM Aleksandar Vučić continuously talks about him fighting for stability in the region, but it is not always certain that he is working for that. One of the largest provocations, done by his government is the organisation of the military parade two years ago to honour Russian President Vladimir Putin on the occasion of the liberation of Belgrade from the Fascists and the 100th anniversary of the First World War. Croatia replied by marking with another military parade the following year the 20-year anniversary of operation “Storm”, which Croatia regained its territorial integrity with. 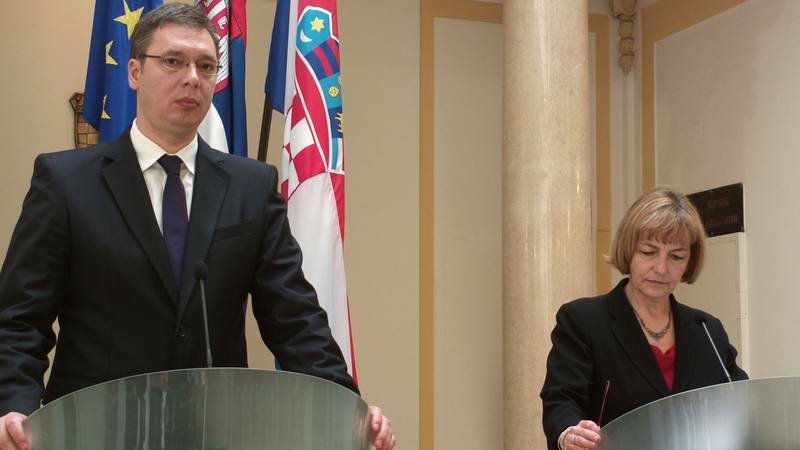 And while Aleksandar Vučić positioned himself as a mature and fully transformed leader, his Labour Minister Aleksandar Vulin works as a mouthpiece on neighbourly relations, often resorting to a tone and vocabulary which are completely incompatible with the claims of the government that it wishes good and pragmatic relations with Zagreb. Opposite to Croatia, where this is a field for marginals, to Serbia the relativisation of crimes and the rehabilitation of even such figures as Slobodan Milošević is official policy. It is without doubt that in Croatia, especially during the campaign for the latest elections, nationalism and radical rhetoric took central stage, but democracy in the country this summer went to a higher level and it can now be said that it is mature enough to be able to cleanse itself of such phenomena. The appearance of MOST NL unleashed a long overdue process of reforms in the two largest political parties. 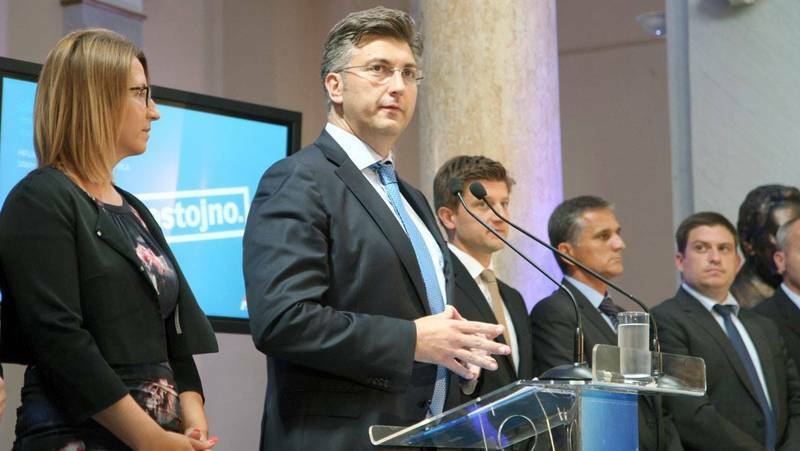 After the “nationalistic” HDZ took a firm pro-European course and positioned itself in the centre-right, there is currently a real democratic battle running for the leader’s post in the SDP, due to the intention of the long-standing leader Zoran Milanović to step down. There are currently eight nominations announced for the post, one of which is again of a MEP – former foreign minister Tonino Picula. Radical and nationalist rhetoric is not dear to any of them, as is evident from their statements so far. Despite some veering and the peak of revisionism and nationalism since the start of the year, you could safely say that democracy in Croatia is robust and going in the right direction. There is not a single party in Croatia to have considerable supremacy over the rest or which has nationalist ideology. Authorities always have solid opposition which is able to present an alternative. Something, which was even admitted by Garry Kasparov recently when he said that Croatian democracy is in an even better shape than the American one. A huge credit for this is due to Croatian media environment, which, despite the very legitimate remarks in the report of a group of international organisations of this year, fulfils its functions of public conscience and a corrector of the political elite. The most-read media and the most popular journalists in unison denounced any case of radical manifestations and urged the state elite to also denounce them and fulfil its obligations by punishing and preventing them. By this I do not mean there is no more work to be done. On the contrary. Croatia has a lot to do on settling its own accounts with its past – both the recent and the more distant one. The situation in neighbouring Serbia is the exact opposite. Opposition in the country is currently almost non-existent. It is too weak and divided to present a realistic alternative and thus a corrective to the government. This is due to a large extent to the media environment, occupied by tabloids, which are said to be close to PM Vučić. When they are not busy denouncing the Croats, they spend day and night spitting on any possible opposition to Mr Vučić and his government. Last year, during the trade wars, you could see on the front pages of many tabloids such words aimed at PM Zoran Milanović and Croats in general, which would make even Donald Trump blush. As Veselin Simonović recently wrote for Blic, the tabloids’ reign will continue until Vučić says “enough”. He does not, however, see any reason to do so, because he thinks the EU is on his side. 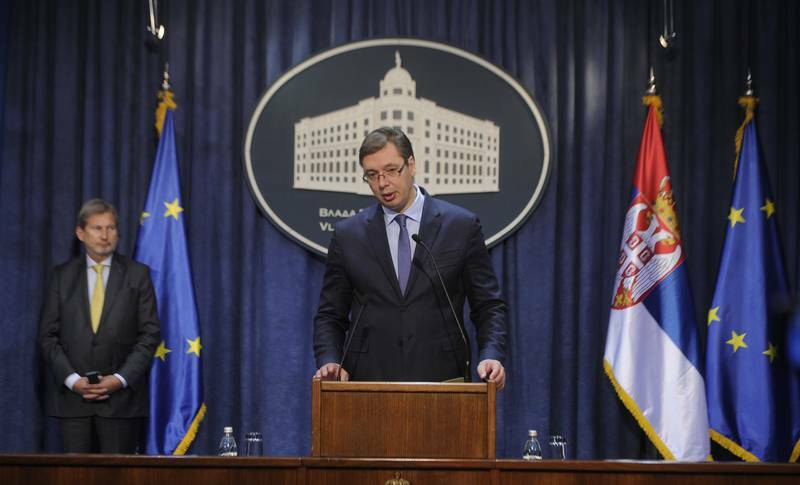 The Serbian PM said this directly during the visit of Commissioner Hahn to Belgrade in the beginning of September, when the Serbian government complained of Croatia’s behaviour. Serbia knows very well that it is important to the EU in the geopolitical re-distribution currently going on. The opening of negotiation chapters 23 and 24 for Serbia are a large domestic politics victory, but is also perceived as another victory in the never ending conflict with Croatia. And in this sense, I agree wholeheartedly with Paul Mason in The Guardian, in whose opinion Europe has much more to do in the Balkans. As I wrote myself, a key role is attributable to European political parties, which often remain silent about objectionable behaviour by members of theirs. The EPP kept silent about Orbán, and Karamarko, and Borissov, and is probably going to do the same about Vučić’s napredniaks, who expect to be accepted to the EPP this autumn. For the sake of Balkans stability, it is extremely important to be careful when blame is thrown for one thing or another. European integration has always had a geopolitical element, but the experience of recent decades teaches us that while it is unlikely that this will ever cease, it should not be at the expense of the transformation process. In a long term plan, it is very important to the survival of the Union itself that it is joined by robust democracies with a healthy media environment, for otherwise the very foundations of the Union are being undermined, as is quite clearly demonstrated by the example of Hungary and Poland. The Financial Times and The Guardian, as well as all the rest have an important role in this sense. In the Balkans, and in small countries in general, it is very important what the large ones say. Large media as well. The texts in both newspapers are correct, but they are several months too late and thus missing the extremely important changes, which are happening on the Croatian political scene. Should these processes complete successfully, perhaps the country’s direction will be irreversible and will serve as a good example in the battle with current phenomena in Europe, which, apart from being aimed against the EU, are often pointed against democracy as well. The processes in Croatia disprove the claim that accession to the EU has unleashed nationalistic sentiments. On the contrary, thanks to the EU Croatia is headed in a positive direction. Leading the possible next ruling party are MEPs. It could happen that at the lead of the other large party as well will stand a MEP, automatically transferring the Brussels political culture to the domestic scene. If there is a problem anywhere, it is in Serbia and it should be addressed in the most decisive manner in the name of the wellbeing of Serbian citizens, as well as of the peace in the region and in Europe. The EU must do everything in its power to avoid the raising of another democratura in its backyard, and for this to happen it is very important that media and analysts be precise in their assessments of what is happening and in the distribution of responsibility. Wow, that was a really good attempt at telling the truth. How can a parade for Putin be considered a provocation to Croatia? Growing ? Croatia is Nationalist nation for almost two thousand years. I mean, what the fuc..